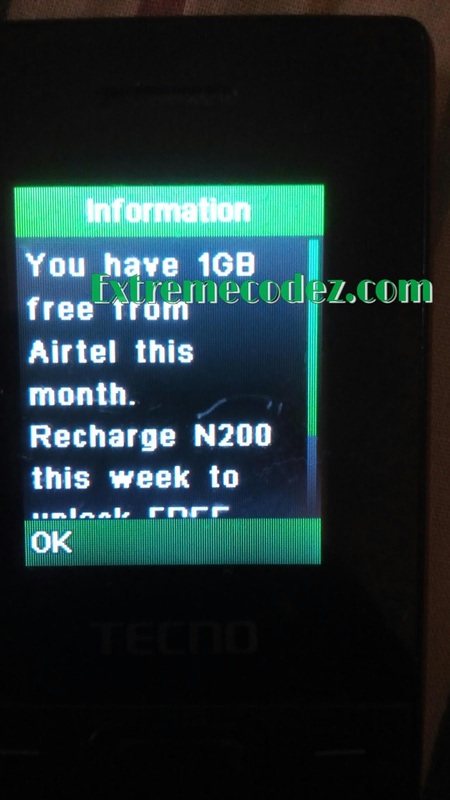 Hello guys, few days ago we posted about airtel free 4GB data bonus which was not meant for all airtel user only those that's on have the 4g sim can get the offer. But as usual we here aging with another free offer that gives you whooping 1gb free data by just dialing a ussd code this offer is totally free and is for both old and new airtel users. For you to get this free 1Gb you don't need to perform any task, is just recharge your sim with N200 amount and dial a ussd code and you will be credited with the 1Gb data instantly. =>> First, go to your dialer and dial *479# to get your free 1GB. 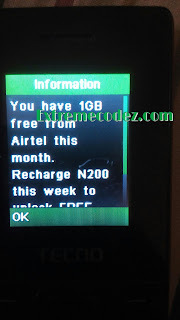 Airtel Recharge Plus is a new offer from Airtel that gives you 250MB every week when you recharge the said amount you saw in the text message sent to you after dialing *479#. Making it 250MB per week, which also translate to 1GB for the month. You can’t use this 1GB just like that, it must be unlocked. Yes the data was said to be given but you can't find it and infact nothing is actually given.